SPFT members take the Foundations II course offered in the summer of 2017. 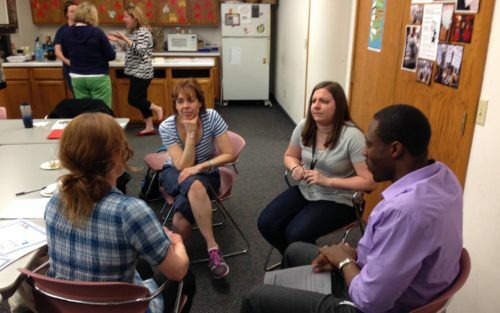 SPFT members attend a class taught by a Four Seasons teacher, Sarah Johnson, over the summer. SPFT members attend a class offered at the union office in the summer. SPFT members are trained in Parent Teacher Home Visits. 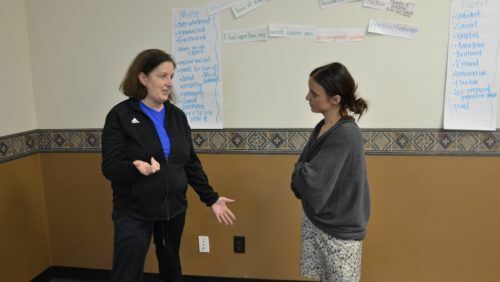 NOTE: As part of their charge, the Professional Development Team is looking at the the content of SPFT's professional development offerings through an equity lens. There will be no SPFT PD Courses offered during the fall of 2018. However, courses will be back up and running winter of 2019. Check PDExpress for updates. The Saint Paul Federation of Teachers believes that the most relevant and effective professional development is led by other educators. Moreover, educator-directed professional development encourages a climate of constant learning and growth in our schools and in our union. Because of this, SPFT is proud to offer professional development that is research-based and entirely created and delivered by educators. 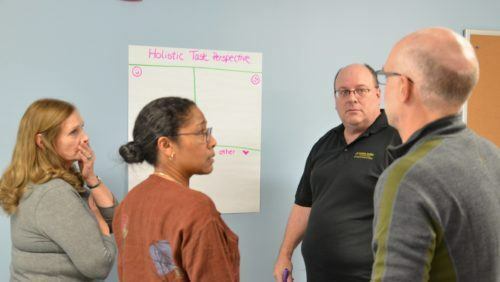 All our courses are presented as an ongoing, reflective process, rather than a singular in-service event. Through these classes, we emphasize the practical application and implementation of instructional strategies. We offer professional development courses for free to SPFT members, unless otherwise noted. SPFT members should register online through Saint Paul Public School’s PDExpress system. 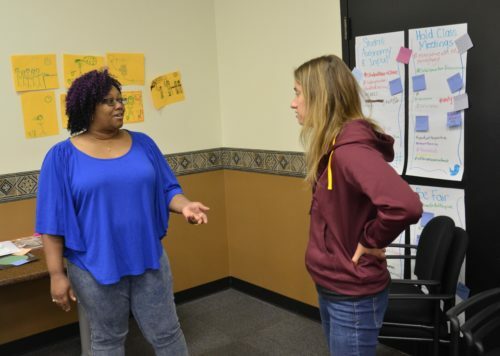 If you have any questions about SPFT’s professional development offerings or want to learn more about the PD Leadership Team, please contact the Teaching and Learning Center at tlc@spft.org. You can learn more about the team below.